Welcome to the April 2018 TBR (to be read) List Link Up! If you've read my previous posts this year (January, February, March), you already know what this is about; if not, you can find all of the details here. I'll leave the link open all month and share the posts of those who participate; in addition, if you join in via Instagram, please use the hashtag #RNRAprilTBR so that I can find you and see what you're reading! Without further adieu, here is my (tentative) April TBR list, in no particular order; I've made an effort to keep my list fairly short, due to my participation in Camp NaNoWriMo during the month of April, but I'm still going to do as much reading as I can! There are two books I'm carrying over from my March TBR list: Anatomy of a Miracle by Jonathan Miles and Not That I Could Tell (my Book of the Month pick for March) by Jessica Strawser. 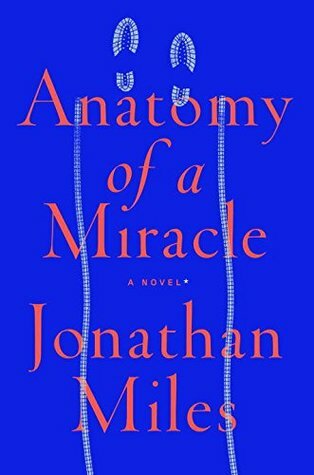 My go-to book recommendation sources have been in favor of one, and not the other, so I'm hoping to fit in Anatomy of a Miracle; it sounds really good! 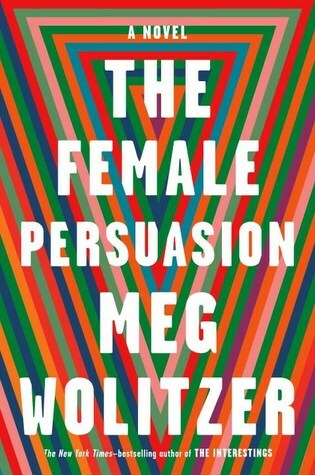 Drum roll, please...the book I've been waiting on for several months will finally arrive on my doorstep tomorrow, Tuesday, April 3, and it is The Female Persuasion by Meg Wolitzer. Initially, I was excited about this book because I'm a huge fan of Wolitzer's work; she is a must-read author, for me. After having read some early reviews of this one, which I try not to do, I am even more excited and have been trying to plan out my reading so that I'll be ready to begin as soon as I get home from work tomorrow! Other People's Houses by Abbi Waxman (April 3, Berkley) - A former advertising executive, Waxman brings a witty, sarcastic vibe to this novel about a group of four families who live in the same neighborhood and share carpool; one of the group discovers that another is having an affair and the shenanigans begin. I'm nearly finished with this one, thanks to the aforementioned planning schedule, and it has been a laugh-out-loud diversion that I've enjoyed, so far. Let Your Mind Run by Deena Kastor (April 10, Crown Archetype) - MY HERO! 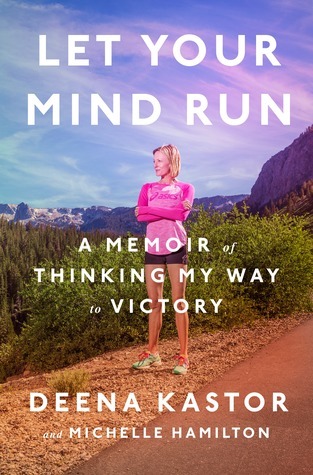 Many of us who fangirl over professional distance runner Deena Kastor have long wished that she would write a memoir or some kind of instruction manual that helps us understand her resilience, dedication and positivity; I cannot describe how excited I am to have a copy of this book! The Comedown by Rebekah Frumkin (April 17, Henry Holt) - Per usual, I'm having a tough time remembering how I heard about this book; nevertheless, the description immediately caught my attention and I'm really excited to give it a try. Then She Was Gone by Lisa Jewell (April 17, Atria) - After a surprisingly great experience with another of Jewell's novels, The Girls in the Garden, I couldn't resist trying out her upcoming release. This is one of the April Book of the Month selections; I received an advance copy from the publisher. You Think It, I'll Say It by Curtis Sittenfeld (April 24, Random House) - Not unlike Meg Wolitzer, Sittenfeld is a must-read author; after my enjoyment of her previous work, like Prep, American Wife, and Eligible, this will likely be a highlight of my spring reading. Born a Crime by Trevor Noah - Yes, I do realize that I'm nearly the last person to read this book; however, it is the April selection of The Bookly Club so I know, for a fact, that I'm not alone! I have owned a copy of the audio version of this book for longer than I'd like to admit; I have a tendency to hoard audiobooks that I think I'll really enjoy for tough, long run days so that I'll have something exciting to look forward to. Thanks to The Bookly Club, I'm finally going to get started and now I'm kind of glad I waited! Happy April! What's on your reading list this month?